"I couldn't allow myself to bow to threats from punks." Bun-Bun-Maru: And you were increasingly into fighting games more and more, weren't you. I think many of your friends played games on home video game consoles. Didn't you think of playing games on them? Daigo: Actually, I played games on NES and SNES since before it. Today, there's no difference between arcade games and home video game consoles. But at that time, the arcade games were greater than the ones for the home video game consoles. So I gradually lost interest in the games for the home video game consoles. That being so, I used to play Dragon Quest series when new ones were released. Toyoizumi3kyodai: It's kind of surprising that you played home video games. Daigo: I quit games other than them and arcade games. I used to have friends in school whom I went to the game arcades together. But, a junio high schooler who "liked fighting games" ordinarily went to a game arcade to play merely several time. I was apparently different from them in the degrees of can-do spirit lol. Bun-Bun-Maru: Cuz you're one of can-do spirit force(*). * The original term is "やる気勢" (Yaruki-zei). "やる気" (Yaruki) means like can-do spirit, and "勢" (Zei) means like soldier(s) or a force. So it directly means like "a soldier loyal to the clan of Can-Do Spirit" This is a modern gaming term. Daigo: Right. And I thought "I should go alone," and started going to game arcades alone since then. Bun-Bun-Maru: So, you didn't play games with your friends in school much after that? Daigo: Right. We didn't play games together after that. It was probably around the eighth grade. I gradually started spending time with game arcade fellows. Bun-Bun-Maru: Where is your home town? Daigo: Adachi ward in Tokyo(**). 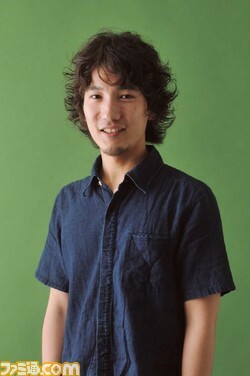 ** Daigo Umehara was born in Aomori prefecture, and his family move to Tokyo when he was eight years old. Bun-Bun-Maru: It must have been dangerous. Toyoizumi3kyodai: What, really? I'm not a Tokyoite and don't know much about it. Daigo: Adachi ward was actually dangerous. Bun-Bun-Maru: It's not a prejudice at all, is it. It was dangerous around there for real. Daigo: And the school I went to was the most notorious school for its bad boys in the ward at that time. Bun-Bun-Maru: That was useful, wasn't that? Daigo: Yeah, yeah. That was useful lol. When I was in the seventh grade, I had to go to a game arcade in front of the Nishi-Arai station(***) to fight other players. Nishi-Arai was dangerous as well, and there were punks banging the cabinets while playing in the game arcade. But, I couldn't allow myself to bow to threats from punks. Cuz I had little money lol. *** A train station in Adachi ward. Daigo: When I ignored such acts, he came up to me, like as if saying "ya guess my mood." He moved his face so closer to my face that our face almost touched each other lol. Bun-Bun-Maru: Of course a punk would come. Daigo: And he asked "which school do you go to?" But this was generally just a routine. And this generally ended by me telling him the name of the school I went to, like showing off my authority(****). Then he said like "oh, well... you came from such a far place," and went away to play like medal games(*****) lol. **** Bad boys in a school always considered themselves as the representatives of the school in "violence." So when a student of school A, for instance, got a blow by a bad boy of school B, the bad boys of A would take revenge on the boys of B to protect their pride and authority. Basically, Daigo could do this because he went to the school where the most violent bad boys went to in the ward. ***** Games using special coins, not metallic money. For more information, read this Wikipedia page. Daigo: It was really useful in that way. I could keep me safe from those kinds of punks unless I went outside of the ward. Bun-Bun-Maru: There were many fights in game arcades at that time. Toyoizumi3kyodai: I lived in countryside, and asytrays and chairs flew around in game arcades back then. Bun-Bun-Maru: We often saw them. Toyoizumi3kyodai: When playing against a punk, I tried to win while entertaining him nicely. Bun-Bun-Maru: That's what all the fighting gamers across the country couldn't avoid. Daigo: Well, I think that continued only through our generations. I mean, the number of punks all of a sudden dropped off after our generations. 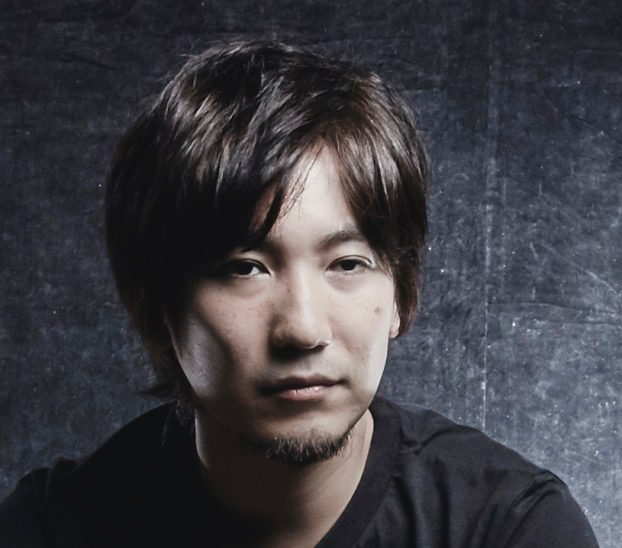 Daigo: Today they've disappeared from game arcades. Looking back, game arcades during that period were thrilling and fun.